FREMONT, CA—November 08, 2016 — Iridium Consulting announced today that it has been selected as one among the 20 Most Promising Software Testing Solution Providers 2016 by CIOReview. Iridium Consulting specializes in providing financial software, Implementation, Application Development, Application Maintenance, Production Support, and Managed Services. Its Application Release Testing (ART™) is the proprietary methodology that steers users to create meaningful test cases, combined with the “functional criticality” and “change risk” to determine the optimal test coverage. As a result, this methodology allows business and technology to agree and align on what needs to be tested for a given project and it offers a transparent framework for executing and reporting test results. 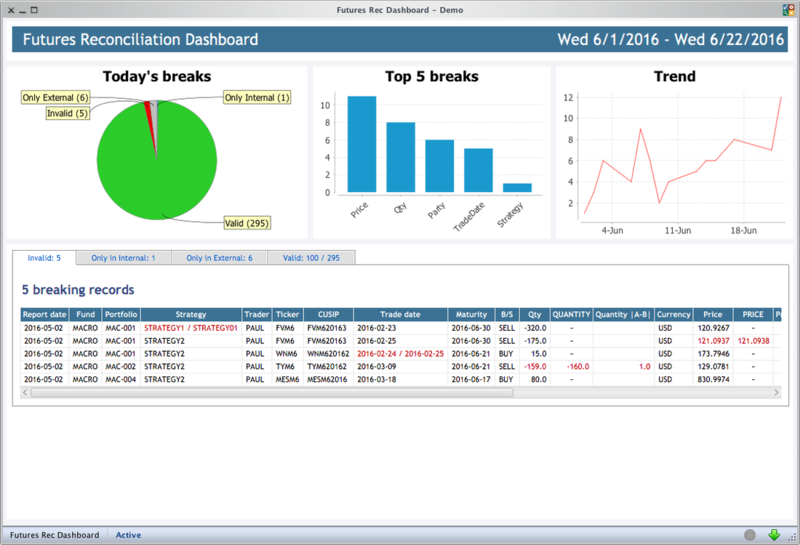 Monitor your sensitive reconciliations using this realtime out-of-the-box reconciliation dashboard. Iridium is pleased to announce the release of BackStage 2.6, our innovative reconciliation and data quality software. BackStage™ delivers a robust data solution that stands out for its functionalities and user friendliness. This highly agile development framework promotes efficiency and reduces cost. The standalone edition offers individual developers and data analysts a perfect tool for prototyping and implementing reconciliations, data quality checks, automatic data corrections, statistical analysis and much more. Here it is! The new website is public. We hope you share our excitement and please send us comments so that we enhance the experience.